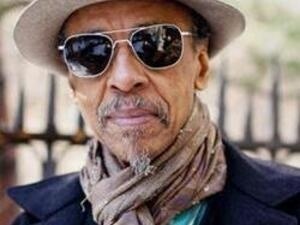 For over 40 years, Henry Threadgill has been celebrated as one of the most forward-thinking composers and multi-instrumentalists in American music. Winner of the Pulitzer Prize for Music in 2016, Threadgill has been called “perhaps the most important jazz composer of his generation” by the New York Times. His remarkably agile ensemble Zooid will be augmented by the Oberlin Contemporary Music Ensemble for an open rehearsal in Oberlin on Thursday, January 10th at 7:30 pm in Clonick Hall. The following night, on Friday, January 11 at 7:30 pm, the world premiere performance of an expanded and improvising chamber ensemble will take place at the Cleveland Museum of Art. For more information, refer to the Cleveland Museum of Art music and performances web page.